Dezeen is giving away five copies of Building Community: New Apartment Architecture by Michael Webb, which charts the growth of terraced towers, social housing, luxury high-rises and other contemporary apartment buildings. This competition is now closed. Congratulations to the winners which are, Kristina Jones from New Orleans, USA; Ivanna Sanchez from Torinese, Italy; Tran Lucie from Züric, Switzerland; Sam	Hope from London, UK and Elena Panagiotidis from London, UK. The book highlights innovative apartment designs from around the world. 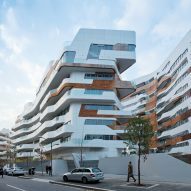 It looks to buildings that have enhanced the lives of their inhabitants, surroundings and urban environment, and asks how we can learn from them. 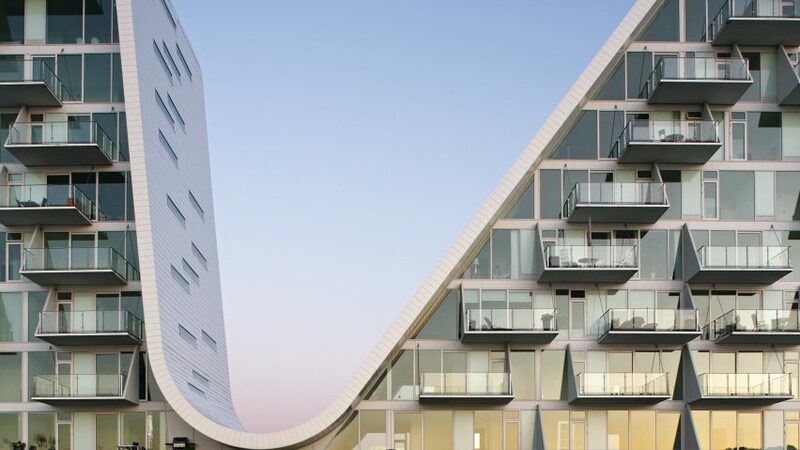 "Building Community is the major first survey in years to explore contemporary apartments not as canvases for interior decoration but as a building type of growing significance," said Webb. "There's an urgent need to build more and better apartments: to relieve the shortage of affordable housing in major cities, to use scarce land more economically, to save the energy wasted on long distance commutes and to revitalise urban centres." The book includes projects such as Ole Scheeren's Interlace in Singapore, which was named World Building of the Year in 2015. The structure was conceived as an antithesis to the standard tower block and consists of a number of apartment blocks stacked diagonally, one on top of another. Also featured is a pair of curvaceous skyscrapers by MAD that tower over a growing city in Canada. 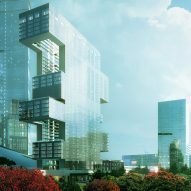 The architects wanted to create a very simple, natural form – not something that alluded to ideas of money or power, typical of most skyscrapers. The book also looks at housing developments like BIG's 8 House in Copenhagen which contains a mix of housing, shops, offices and childcare facilities. 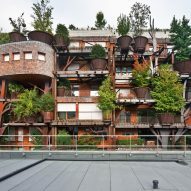 The complex is connected by sloping, elevated walkways that stretch down to a central courtyard with the aim of encouraging social interaction between residents. Moshe Safdie's Singapore Sky Habit is another featured project that employs aerial walkways to promote social interaction. The structure aims to bring landscape into the air, with private terraces overlooking the lush greenery below and communal garden bridges with benches and planting. Webb was one of the founding members of avant-garde architectural group Archigram in the 1960s, which sought to shake up British architecture. He has taught and written extensively about architecture and design and is a regular contributor to leading journals in both Europe and the US. Building Community: New Apartment Architecture by Michael Webb is published by Thames & Hudson and available to purchase online for £40. 25 Verde, Italy by Luciano Pia. Photography by Beppe Giardino. 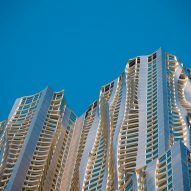 8 Spruce Street, USA, by Gehry Partners. Photography by Forest City Ratner Companies. 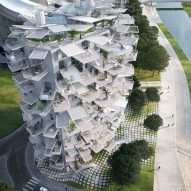 L’Arbre Blanc, France by Sou Fujimoto Architects. Project R6, South Korea by REX. 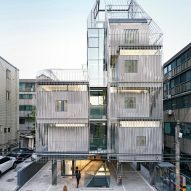 Songpa Micro Housing, Korea by SsD. CityLife, Italy by Zaha Hadid Architects. Photography by Iwan Baan and Michele Nastasi. 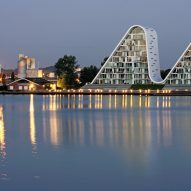 The Wave, Denmark by Henning Larsen Architects. Photography by Thomas Melvin.